It is so great to see so many of our loyal customers and also plenty of new faces too! We really appreciate your support of our small local business – we realize that you do have choices. We hope that we're providing you with the excellent customer service that you have come to expect and that you LOVE your plants! Please tell your friends, neighbours and family about us. Most new jobs are created by local businesses: Small local businesses are the largest employers nationally. Plus the more jobs we have in our local community, the less people have to commute, meaning less traffic and pollution and lower costs for employees to travel to work. Your containers are ready for pick up! 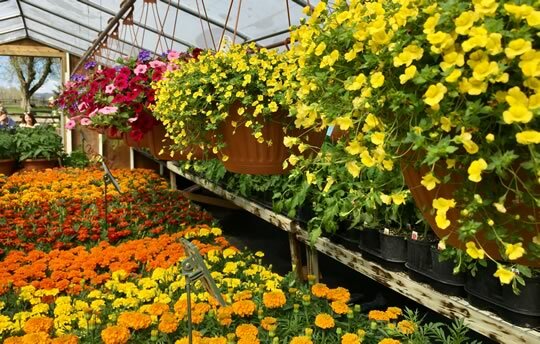 We have grown spreading Zinnias for many years now and they are often passed by in the greenhouses as they are typically sold green or in bud and are just not as eye catching as the flowering plants. Do not pass this plant by again! 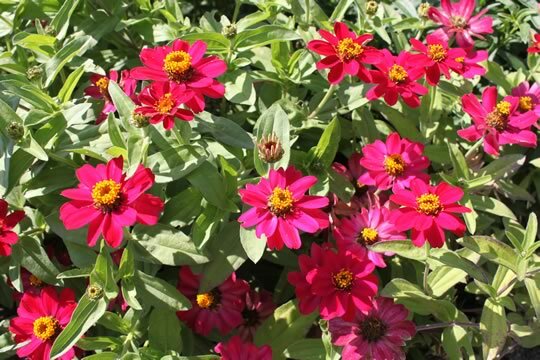 Once planted and established in your garden, Profusion Zinnias will put on a show stopping performance! 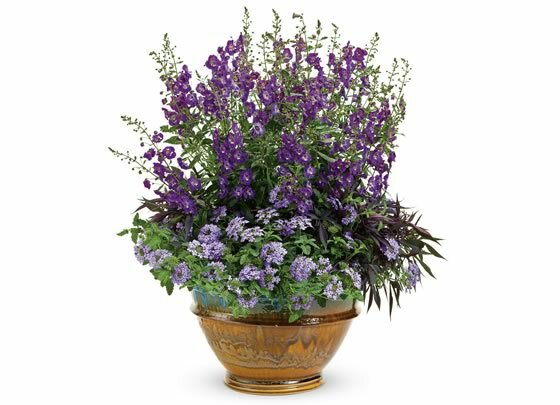 Growing to about a height of 12” high and 18” wide, they will be covered in masses of bright and sturdy flowers all season long. Choose from a variety of bright colours - Orange, Cherry, Fire, Apricot, Coral Pink and White. I love combining orange, apricot and white plants for a fun and cheery mix. Just plant in full sun and watch them grow! 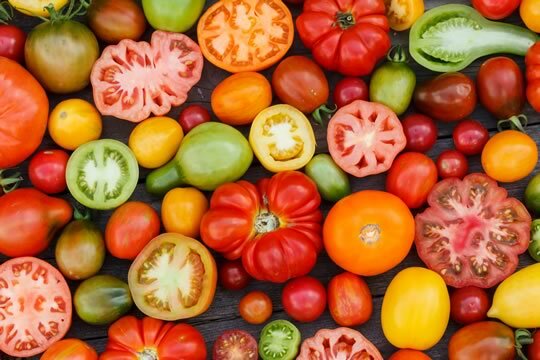 Heritage or heirloom tomatoes are old style varieties that have been in production for at least 50 years. Over the years, advances have been made to plant breeding and production methods and these varieties are now rarely grown commercially. Heritage tomatoes are available in a huge range of sizes, shapes and colours and have fantastic flavor. 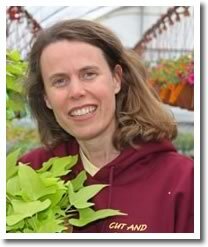 However, they are not resistant to a wide range of diseases like most hybrid varieties are. They breed true to seed, meaning that seed can be kept and started the following year again. Most are indeterminate plants, which need to be staked, growing very large and producing fruit for several weeks on long vines. 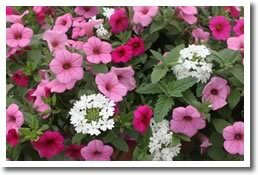 Each year, we select a dozen or so varieties to grow. I aim to offer a variety of sizes, shapes, colours and flavours. Be sure to try a few of this season’s picks! Earlier this week, we hosted a visit from the Dazzling Damsels – the Red Hat Ladies group from the Bradford area. This visit was a little different from the typical tours that we run. The ladies had asked if I could do a demo on how to put together a planter. So with input from the group, I walked them through the process of designing and planting a planter. 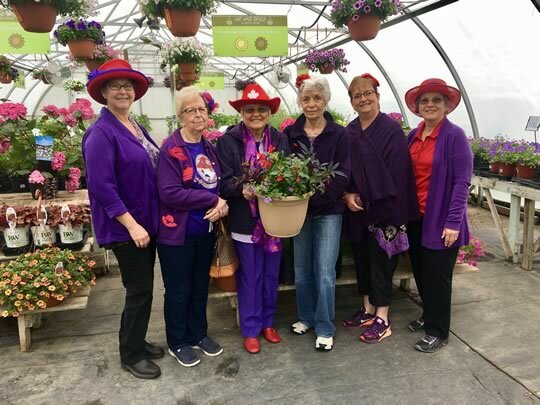 We came up with a semi shade pot in their colours of red and purple. A draw was then held for the finished container and one lucky lady took it home. It was a great visit and a fun way to learn about our plants. If you would like to book a tour for the 2018 season, please contact me! We are happy to tailor our tours to suit the interests of your group. 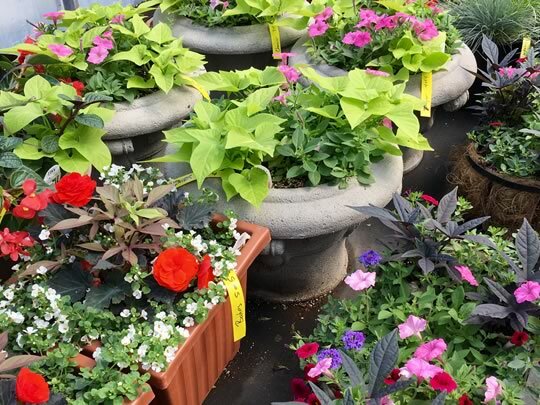 Design and plant a planter demo! This fabulous Astilbe is one of my favourite perennials! Long lasting, upright, fluffy dark red flowers are very striking and last for 6 to 8 weeks in July and August. When the flowers are finished, the glossy foliage remains fresh and full and the seed heads are interesting into the fall. Vision in Red will grow better in some shade, but unlike most other Astilbes can also withstand some drought and tolerate sun. It grows 15 - 20" tall and is absolutely stunning planted in a group of 3 or more. 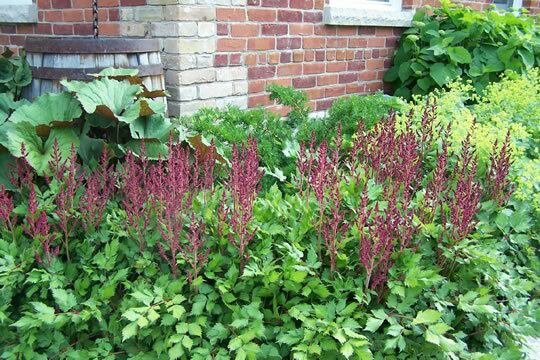 The photo shows a group of Astilbe Vision in Red plants still in bud, combined with Ligularia Desdemona, Yew, Ladies Mantle and Hydrangea Annabelle.